However, that collapse is against the US Dollar and other just-as-fiat-and-unbacked currencies. The PBOC has been considerably more careful about how its currency has moved relative to 'real money'. 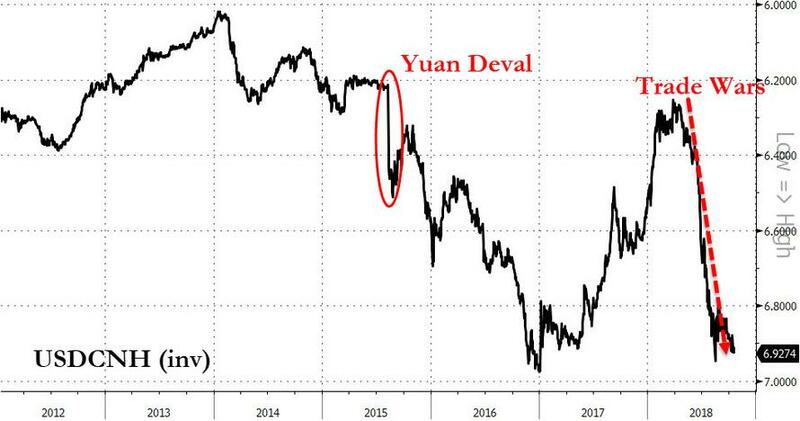 As the chart above shows, it seems the PBOC has lost its ability to managed the 'peg' - whether due to desperate liquidity needs elsewhere or defending stocks as they begin to freefall - with Yuan plunging back to only 8,500 per oz of gold. 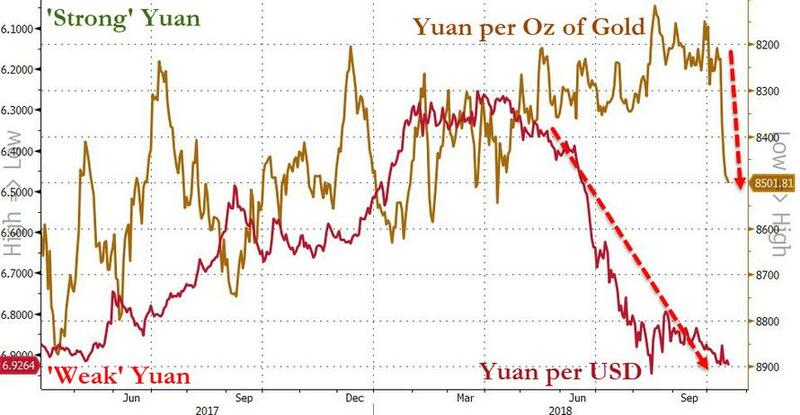 This sudden decoupling of gold from yuan is extremely notable since, as we noted previously, it has seemed that the PBOC has attempted to peg yuan in an effort to improve credibility (as the currency collapsed against the USDollar's fiat). 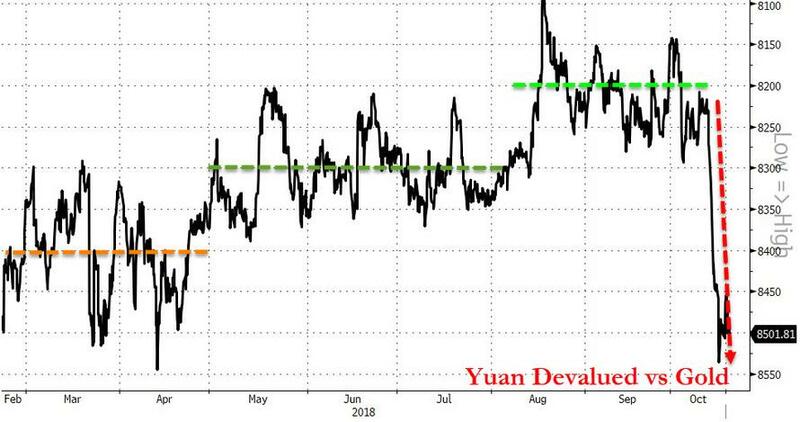 Further weakness in CNY could then be seen as an escalation of the trade war between the US and China. At the same time, it would seem that CNY appears to be tracking gold closer than any other currency market. 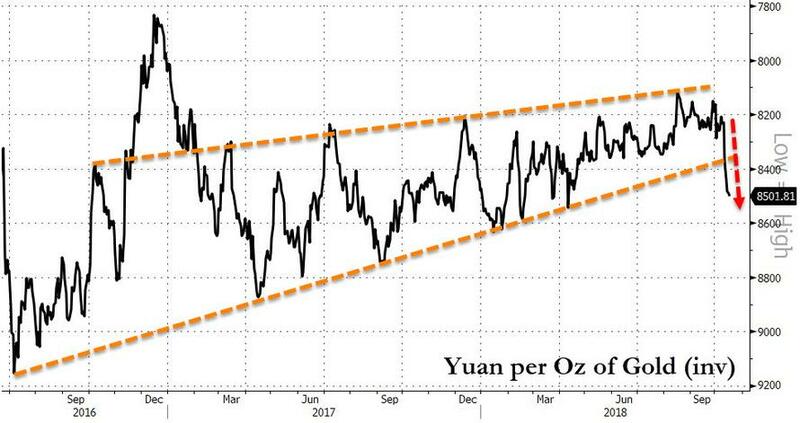 Whether this is a ploy to increase the credibility of the CNY by linking it to a credible anchor (perhaps to help internationalization) or just spurious is unclear, but it is worth monitoring. That "credible anchor" just snapped!